24,000 notes of Rs 500 denomination, amounting to Rs 1.20 crore, and 21,600 notes of Rs 1000 denomination with a face value of Rs 2.16 crore were seized during search. 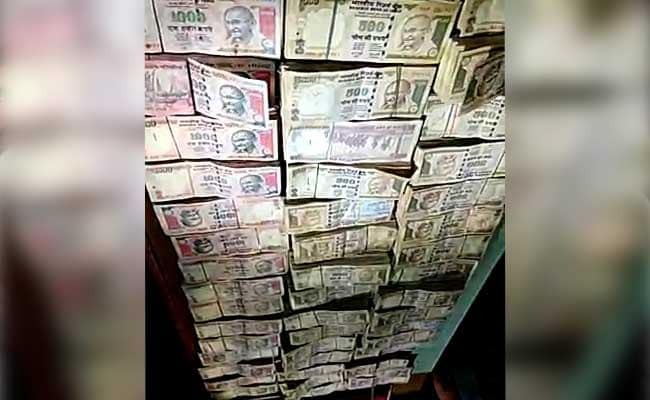 Demonetised notes worth Rs 3.36 crore were seized in Surat's Khatodara locality, police said. Three persons were arrested today and demonetised notes worth Rs 3.36 crore were seized from them in Surat's Khatodara locality, police said. Acting on a tip-off, police mounted a search of vehicles in the area and found the demonetised notes, of Rs 1000 and Rs 500 denominations, in a car, a Surat police press release informed. It added that the seizure comprises 24,000 notes of Rs 500 denomination, totalling Rs 1.20 crore, and 21,600 notes of Rs 1000 denomination with a face value of Rs 2.16 crore, apart from three mobile phones. The three arrested persons are Gagansinh Rajput, Mohammad Ali Sheikh and Latif Sheikh, police said. The accused were travelling in the car at the time of search, Police said. A case has been registered and further investigations were underway, an official said.